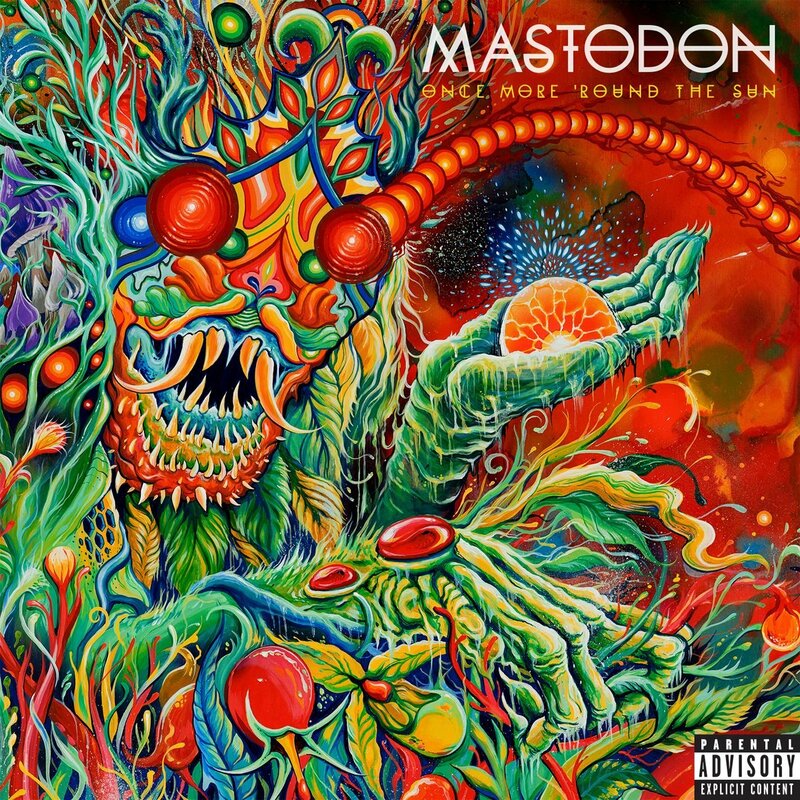 Mastodon are one of those muscular metal bands whose music really does go “Kerrang!” or even “Whoooarrrghhh!” They’ve always been a bit loud for me. This new one, though, is more melodic; while the riffage, guitar breaks, big bass lines (at times it made us think of Motorhead on steroids) and manly vocals are all still present, the melody is to the fore. It’s also got a clean sound; that and the melody mean their boast on the sleeve of being “the greatest metal band of their generation” could well become true. Opener Tread Lightly is the closest to their heavy sound, presumably to reel in the old fans, the vocals verging on metal grunting but staying tuneful. The Motherload pulls the sound away from pure metal with a psychedelic delay on the (more melodic) vocals and a massive stoner chorus. Lead single High Road again opens with dirty metal riff and chugging guitars but has a catchy chorus that comes out of nowhere. Title track Once More Round the Sun sees them go a bit Incubus, with a simple riff and catchy chorus. Chimes at Midnight is similar, another accessible but heavy tune. And so on. This is that rare thing, a fun metal album. It’s metal enough to please the fans and melodic enough to draw in new ones.